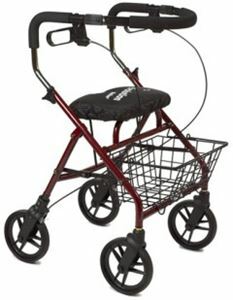 Horizon DX-21" Horizon WDX-21" [+CAD 20.00] Horizon LWDX-19" [+CAD 20.00] Horizon TDX-24"
Horizon Series Walkers are available in 4 sizes and are strong and compact walkers with shorter turning radius. They can also be used in a smaller living area as well as can be used outdoors. My living area is quite small. That is why I bought this walker as it is best and compact for smaller area. It fulfills the dual purpose. It can be used in smaller indoors as well as outdoors. Easy to use and very comfortable.